The Garage is a Glasgow institution, the biggest nightclub in Scotland and an entertainment venue which has been treating people to the best in music since 1994. Open 365 days a year, many world-renowned artists have passed through the doors to The Garage including Prince, Fun Lovin� Criminals and Queens of the Stone Age. The Garage is more than just another club. It has a daytime schedule of events including Zumba and Salsa classes and it also has rooms available to cater for events big or small, from a meeting between five people to a party for three hundred guests.�There is even a cocktail bar where trained cocktail waiters can whip up exotic drinks all night long for up to 89 people. 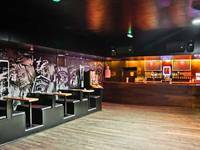 Located at 490, Sauchiehall Street in the City Centre of Glasgow, The Garage has been THE place to go for an evening of real Glasgow clubbing for more than 18 years.�A full programme of events and more information about this Glasgow hotspot are available on the venue�s website � www.garageglasgow.co.uk. 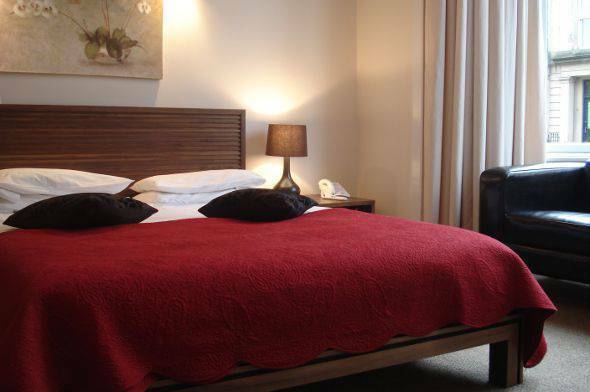 Just a stone�s throw down Sauchiehall Street stands The Sandyford Hotel, perfectly located for visitors to Glasgow who need B&B accommodation near The Garage. Our 3* hotel has 55 comfortable and affordable rooms and with 24-hour reception there will always be a member of staff available to answer queries and assist you. Our cheap bed and breakfast prices include a full Scottish breakfast and the quality of service at The Sandyford Hotel will convince you that you have made the right hotel choice, as we are ideally situated between the West End and Glasgow City Centre. Why not call us today to book a hotel near The Garage. Our reception staff will be more than happy to advise you about available rooms and ensure that your accommodation needs in Glasgow will be fully met. You can also make a reservation through the online booking form any time, day or night.